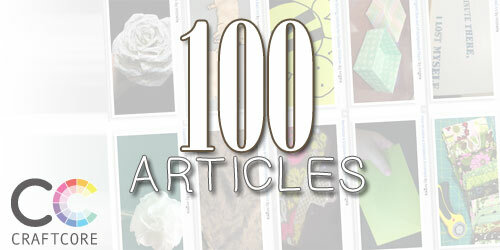 There’s no reason to be afraid of submitting an article to Craftcore. Our content management system is powered by WordPress, a tried-and-true platform that’s easy to use for beginners and experts alike. 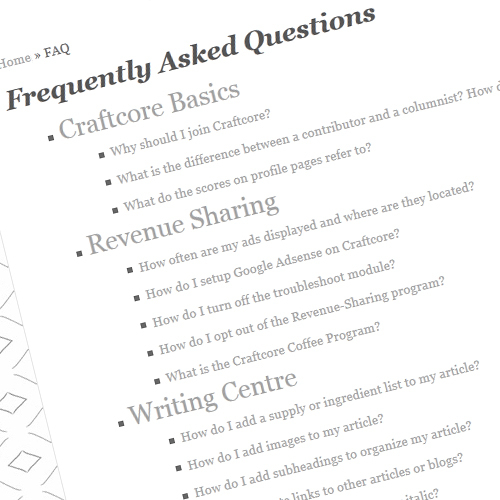 I’ve added a new section called Writing Centre to the Frequently Asked Questions (FAQ) section of the site that covers formatting your articles, adding images, and much more. If you still have questions, please submit your questions by contacting us. If you don’t have an account yet, join up and get crafty! 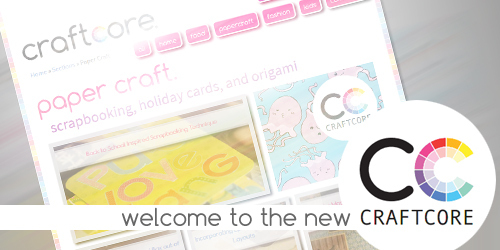 Welcome to Craftcore. If you’ve found your way here, I’m assuming that you were given a link for a super-special sneak peek of the site while it’s under construction. Watch your step; there are a lot of loose ends to tie up, but that won’t be a problem for our team of crafty creators, right? Right?! Soon to come: customized user profiles, membership directory, writing application form, and articles. Basically, everything is still on its way, so please don’t judge us too quickly. We have a lot to share with you, and we want to learn from you too. 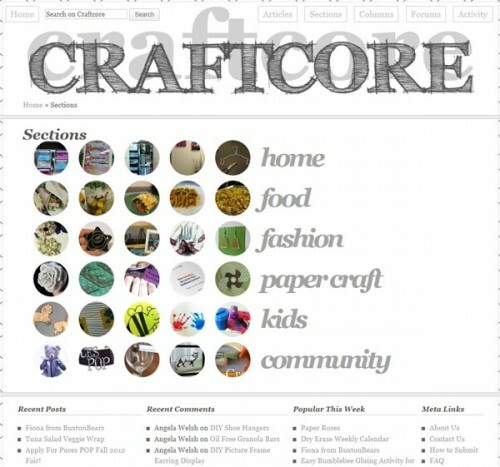 Have fun exploring Craftcore!